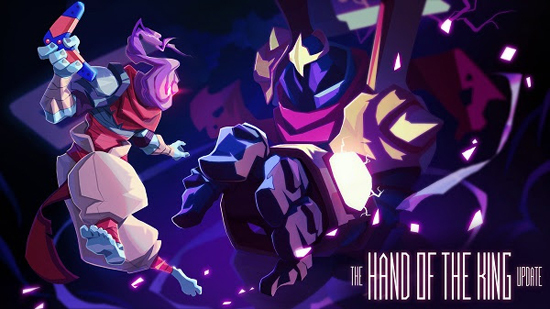 After weeks of bug hunting and balancing from the most dedicated players on the Alpha and Beta branches, Motion Twin is stoked to release their sixth major update to Dead Cells since the debut of its Early Access launch. The final “major” content patch as they gather steam for the full launch later in the year includes a new castle-themed level and its rage-quit inducing boss, a nightmare difficulty level and, of course, the expected abundance of weapons, monsters, design tweaks and balancing. The Castle is a whole new level for you to explore, and die into. All grenades items are now Brutality items first. Some of them can be dual-colored with Tactics or Survival. Community suggestion The hero HP scaling has been balanced. Points invested in Survival give more HP than points in Brutality, and these ones give more HP than points in Tactics. It's not a huge difference, but the idea is to make sure that Survival builds have a little bit more HP than Tactics for example. Community suggestion Dodging no longer cancels your weapon chained-attacks. For example, with a Broad Sword, this means that you can use the first 2 attack sequences from this weapon, roll, then use the 3rd attack sequence (the heaviest attack). Added new weapons & active skills, just because we could. Heavy Turret is no longer a Survival skill. The Hokuto bow buff now deals more damage. Flame thrower turret no longer burns mobs protected by a global shield. Rerolling shops is now more expensive and the number of rerolls has been reduced. Bear traps now properly apply their affixes to any trapped target. For example, a trap with "+100% damage on bleeding target", will now make all your bleed-based attacks deal +100% damage on a trapped victim. Community suggestion Added new "dual treasures" in some levels. These are similar to the daily mode treasures: you have to choose between a weapon and an active skill, and the other item disappears. Added new secret areas. Somewhere. Community suggestion The corridor at the end of the Promenade is now a little bit shorter. Community suggestion If you have the YOLO perk equiped and reset your perks at Guillain's shop, you now are able to equip again the YOLO perk in this particular shop. Community suggestion Added a small explanation on diet menu. It's no longer possible to accidentally heal multiple times quickly having "Emergency triage" perk equipped and holding the heal button. Perk & collector NPCs no longer require to "kill all nearby enemy first"
Fixed some issues with mobs pushing themselves in the self direction when reaching the border of a platform. Dead Cells is currently available in Early Access on Steam for $13.40 USD (normally $19.99) for the duration of the Midweek Madness sale.